I won’t be wronged. I won’t be insulted. I won’t be laid a-hand on. I don’t do these things to other people, and I require the same from them. — John Bernard Books, The Shootist. 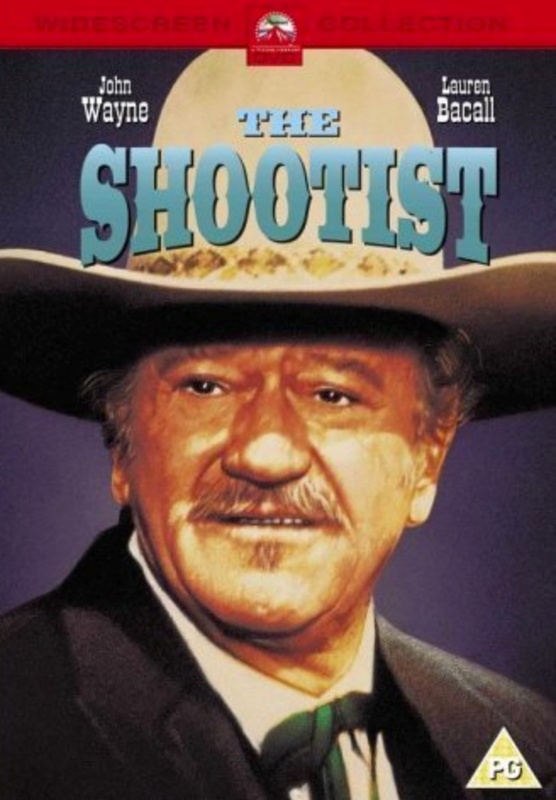 One of Dave “Thirdwavedave” Logan’s favorite movies was The Shootist, a 1976 movie starring John Wayne in what would be his final film – this one about a dying gunfighter who spends his last days looking for a way to die with a minimum of pain and a maximum of dignity. Dave liked it so much, he sent me the script and when he learned that I had never watched the film, he invited me to watch it with him, simultaneously on twin DVDs, me on the East Coast and him on the West. So one Sunday night after I finished my Orlando WDBO radio show and drove home, I popped it in the player, called him, and on the count of three, we “rolled tape”, and watched “The Duke” in one of his best performances. Almost three years after this movie had been filmed, John Wayne died of cancer. And so did Dave… a few years after we watched it together. I’m back home today after spending the last six weeks on the road. Well, actually I’ve barely been home at all this year except for a week here and there between trips and personal family matters. The dust on everything is quarter inch thick… my home is in dire need of a deep cleaning. So, I awoke this morning to a ringing phone. It was my longtime college chum Rod M., business reporter for WDIV TV in Detroit. “Andy, what the hell happened?” he began, beginning my day with the question millions of us are asking, including Glenn Beck, Rush Limbaugh, and others. Honestly, I do not know what happened. It feels like we’ve been hit from behind with a two-by-four that we didn’t see coming. Every indication we got from folks in Michigan and Pennsylvania was that people were sick and tired of “hope and change” and ready to make a real change in Washington. I was fairly confident that Obama was on the losing end of this proposition and Romney was a shoo-in. Maybe by a squeaker, but with a better than even chance he’d take it with a healthy mandate from “We the people”. I wasn’t entirely convinced it would be a landslide, though I wouldn’t have been surprised had it been. During the flight home from Michigan yesterday, I sat quietly in seat 14B, contemplating the dreadful awfulness of an Obama win. Would Divine Power allow us to reap what we’ve sown — let the turn of the screw continue with the socialist/commies and their useful idiots? What if Obama is re-elected? I shuddered at the thought as I sat crammed into a flying tube filled with travelers, many of whom were just as eager to learn election results as I was. After three connecting flights (have you ever tried to get out of Traverse City to Orlando on a direct non-stop? Utterly impossible…) we finally touched down in Florida on terra firma at 11:40 pm, and before we had even taxied to the jetway, news of Obama’s win began buzzing through the aircraft as people turned on their cellphones and learned the news. No! NO!!! Noooooo!!!! It can’t be, my brain screamed. It must be wrong. I have to know for sure! I made my way out of the plane and into the terminal where I put down the bags and checked my iPhone for the DrudgeReport. Arrrgh… son of a b…..! It was true! OMG! We are in for some major hurt in the days and years ahead. On the ride home I tuned in Glenn Beck’s live coverage on The Blaze TV. Yep. It was true. Even Glenn Beck was talking about it, wondering “How? Why?” Is our nation on the decline? Is this really the beginning of the end? Are we already halfway there and only now really realizing it? I pondered that as I pulled into my driveway, thoroughly despondent and exhausted. I brought in my bags and came to bed. I didn’t want to see anything or hear any more. And I especially did NOT want to watch Obama give his victory speech. Tomorrow would come soon enough, I decided. I’d had enough. He wasn’t my president then, and he isn’t my president now. I just wanted to pull the covers over my head. Later, over a cup of coffee I began unpacking six-week’s worth of Rebuild America Defeat Obama National Tour luggage. (I still haven’t finished…) Then I dressed, and headed out for groceries and a gun. $700 later, my fridge has food, and I now own a Sig Sauer P238 pistol, holster, ammo, and gun cleaning kit. I’m filling out my Florida conceal carry permit application, and after the required 72-hour waiting period, I’ll pick up my 2nd Amendment right to bear arms at B & H Gun Rack and begin practicing at the local shooting range. This looks close enough to the one I bought. Mine has a red tactical laser sight and feels comfortable in my hand. And it has very little recoil action. Good. Why did I buy it today? Well a couple of reasons. First, I made a promise to ThirdWaveDave that I would buy a gun for protection. Dave had insisted on many occasions that I should have one for my own safety and security. That was a promise I wanted to keep. Today, I did. Second, on his show today Glenn Beck urged his listeners to get “grandfathered in under the Second Amendment NOW.” So I took his advice too. And third, quite a few of my women friends own guns and are quite proficient with them. 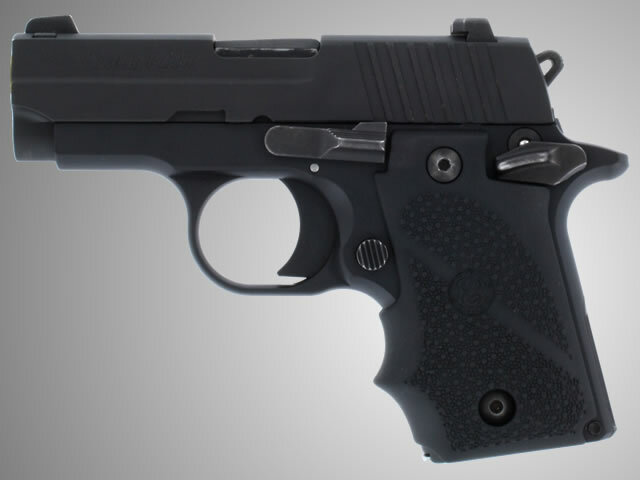 They’re confident they could handle any situation as long as they’re carrying. And I like that when I’m with them, they are. Carrying, that is. So pretty soon that baseball bat I keep next to my nightstand will have some company. I asked the guy at the gunstore if there had been a lot of customers today, and he said there hadn’t. But he added, they’ve been very busy all last week in the run-up to the election. Hmmm…. hunting season? Bout time! Where you been? Oh yeah. Watching old movies. Why did God not hearken to all the prayer for the country? It is quite simple, really. Where was the repentance in sackcloth and ashes for our national sins, crimes, abominations? Chief among them is the Abortion Holocaust—-50 to 60 million babies slaughtered and slain, mostly for no good reason.. 50-60 million babies slaughtered and slain with the official countenance of our government. We all knew that Obama’s position on abortion was extreme, even for that crowd. Yet, we elected and re-elected him. God is not mocked. He will not hearken to our prayers for the country until we do repent of this sin against the Holy Spirit, the Lord and Giver of Life. The Mandate of Heaven is being withdrawn, has been withdrawn from our country. Unmistakable signs have been present, one of them just days before the election. How long, Lord, how long?